The helping hand of the Dublin Worthington Rotary Club Foundation has profoundly touched many families and individuals in need. Disaster can strike anyone, anywhere, yet many people consider themselves immune. Many years ago there was no local source of funds to assist residents of the Dublin and Worthington areas who suffer hardships or loss resulting from a disaster, personal crisis or catastrophic illness. In 1988, the Dublin-Worthington Rotary Club Foundation was organized to fulfill this perceived need. Since then, the activities of the Foundation have been expanded to include serving as a tax-exempt repository for specific emergency or charitable causes. statements are available upon request. 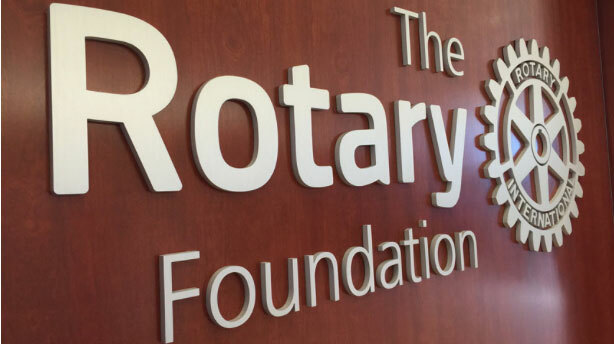 The Dublin-Worthington Rotary Club Foundation will assist an individual, family, charitable cause or organization in need of financial assistance for medical expenses due to catastrophic illness or for the hardships of other personal crisis. The Foundation offers the community an opportunity to reach out to others and provides a vehicle for the accumulation and investment of funds to be used for the betterment of the community. Assistance can be in cash, or service-in-kind provided by Rotary Club members, friends, other volunteers and business associates. Contributions to the Foundation may be made by check payable to the Dublin-Worthington Rotary Club Foundation, P.O. Box 181, Worthington, Ohio 43085. Many companies foster their employees’ involvement in community services by matching their charitable contributions. To find out if your company matches contributions, please contact the personnel office where you work. Or if your company needs more information about matching gifts, please contact the Foundation, P.O. Box 181, Worthington, Ohio 43085. Contributions of any type can be made in the memory of or in recognition of a loved one. When time is of the essence, requests for emergency assistance can be made directly to any Foundation Trustee or any member of the Dublin Worthington Rotary Club. For names and telephone numbers of the officers of the foundation or the club, call (614) 436-1940. Applicants will be notified of the Foundation’s decision concerning each grant request.